Wikipedia is second only to Google when it comes to Internet sites we recognize most readily, and would cry the most copious tears over if for some reason it was cruelly taken away from us. The site gets 85 million unique visitors just from the U.S. every month. It’s hard to imagine life without it. Pretty amazing when you consider it was little more than an after-thought to a project call Nupedia, a free online encyclopedia with expert, peer-reviewed content, created by philosopher Lawrence Sanger and Internet entrepreneur Jimmy Wales. Nupedia was a great concept, but it was sorely lacking in one area – speed. Only a measly two articles made it through the process in the first six months. To speed things up, Sanger suggested a similar site that allowed anyone to be a contributor. It would also skip the editorial review process completely, allowing articles to be posted much quicker. 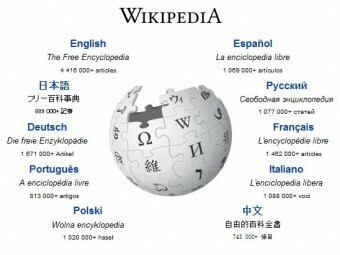 The new site, Wikipedia.com, went live on January 15, 2001 and was an immediate success. By the end of the year the site already contained 20,000 articles in 18 languages. Users loved the idea of an encyclopedia they could contribute to, especially those with vast stores of knowledge in particular areas. Another concern is, of course, accuracy. Since editing is a free-for-all, how do you know if what you are reading is factual? You could be caught in the middle of an editing flame war for all you know. The contributor could be drunk, not nearly as smart as they think they are, or a mean-spirited jerk with nothing better to do than post erroneous stuff on Wikipedia. Of course, you should always double check your sources. You should never be depending on just one anyway. Why? Because even the best get things wrong from time to time. How wrong? According to a study done by the “International Weekly Journal of Science,” Nature, Britannica Online contains an astounding 2.92 errors per article in their science related articles. How about Wikipedia, you ask? They came in at 3.86 errors per science article. This provides the dual lesson of never trusting any single source, no matter how prestigious, and not committing the popular mistake of thinking Wikipedia is not a reasonably good source. After all, even on extremely technical articles, it’s nearly as accurate as Britannica, which is one of the best out there. In any event, by December 2013, Wikipedia had 30.4 million articles in 287 languages. These articles have been authored by 43 million users of the site worldwide. The site is supported by private donations (which are tax-deductible) and remains ad free. Jimmy Wales, one of its founders, says he’d like Wikipedia to contain the sum of all human knowledge one day. That’s setting the bar pretty high, but these guys think big.